Jon Faulkner began work as deputy commissioner of the state Department of Commerce, Community and Economic Development this week. Governor Mike Dunleavy appointed a Homer hotel owner to serve as deputy commissioner of the state Department of Commerce, Community and Economic Development. 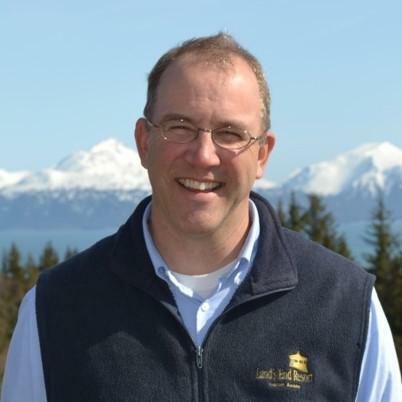 Jon Faulkner owns Land’s End Resort in Homer and he began working this week. Faulkner will help oversee six divisions, including the divisions of Corporations, Business and Professional Licensing and Banking and Securities. He will also oversee a handful of corporations such as the Alaska Seafood Marketing Institute, but won’t directly manage them. Faulkner has been involved in state and local politics for some time. He ran an unsuccessful campaign against House Representative Paul Seaton of Homer in 2012, and he’s held multiple positions in the state Republican Party, including vice chair. Currently he serves as a regional representative for the party, but he plans to resign from his position this week. Faulkner said one of his highest priorities as deputy commissioner is job growth. Faulkner said one way he plans to spur job growth is by working to rescind regulations the Dunleavy administration views as burdensome to the private sector. “The Dunleavy administration is looking at all regulations, every single one,” he said. In particular, Faulkner wants to create more year-round work for Alaskans, and he said he’ll look to Homer as a model. “Homer is kind of a good starting point, and I'm certainly aware of the seasonality of Homer and how jobs are needed year around there,” he said. Faulkner wants Alaskans to reach out to him with their economic development priorities. Faulkner’s office is located in Anchorage, but he said he’ll also be spending time in Juneau during the legislative session. As for Land’s End, he said locals will continue to run the hotel’s day-to-day operations.